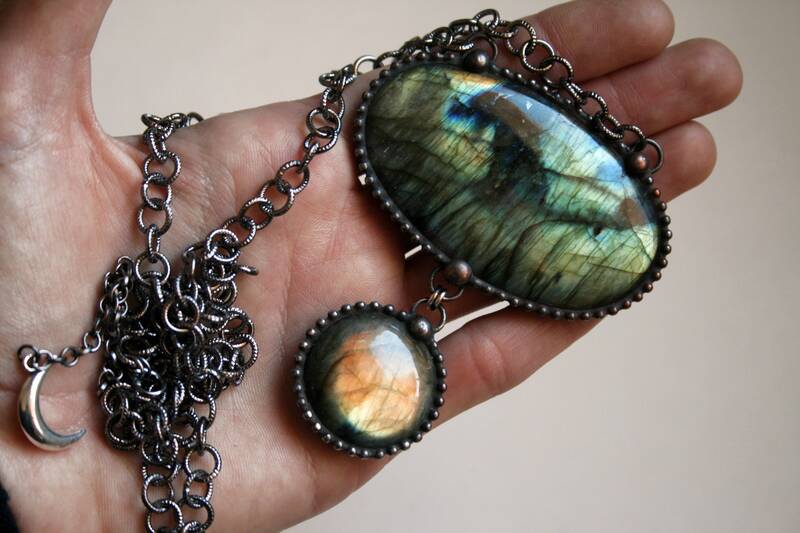 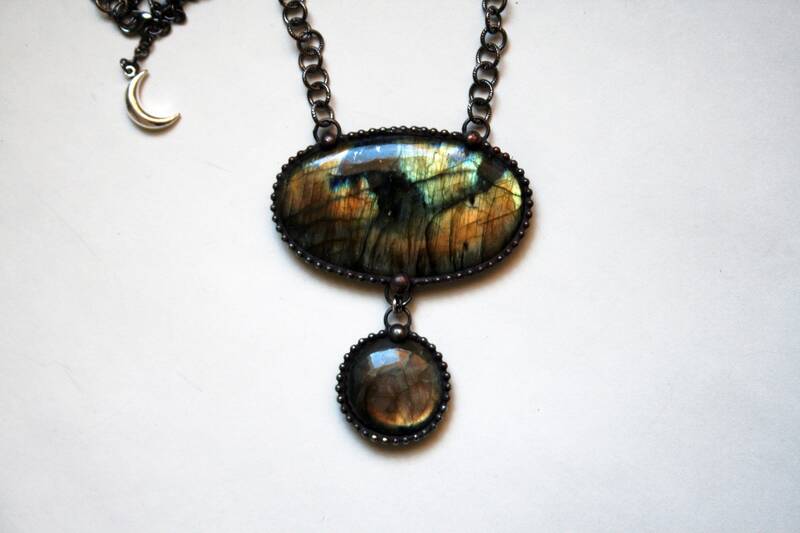 One necklace, featuring a flashy rainbow labradorite stone, set in an artistic handmade sculptural silver alloy solder setting, with another labradorite stone drop hanging below. 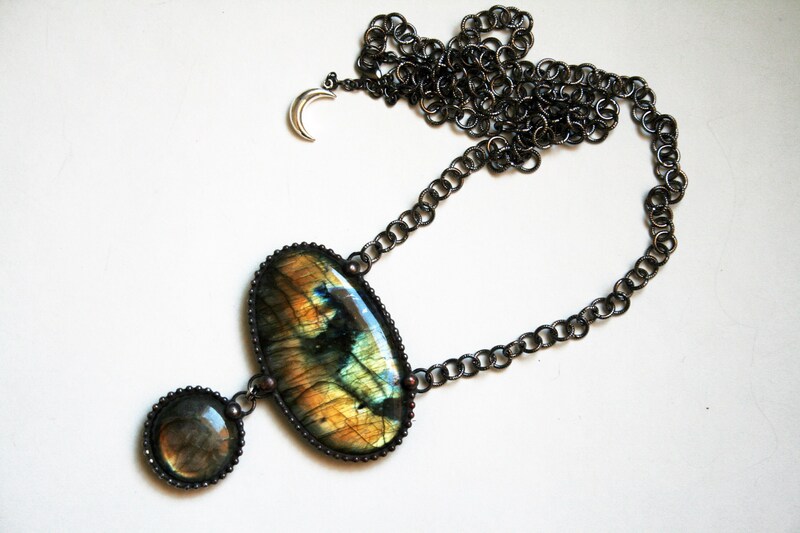 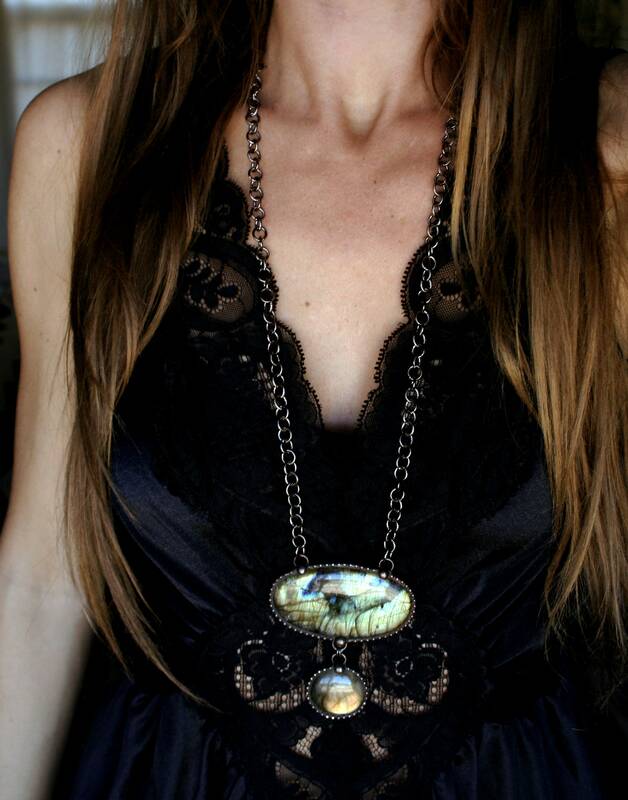 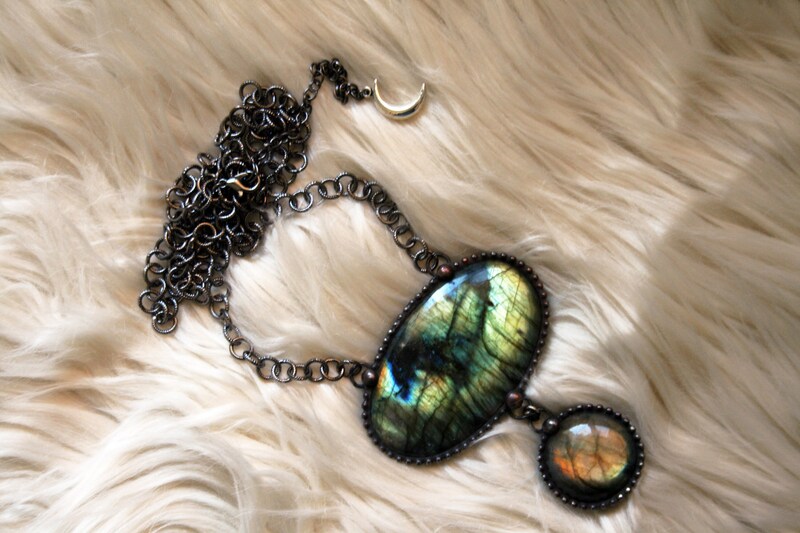 This pendant hangs from a gunmetal plated iron chain. 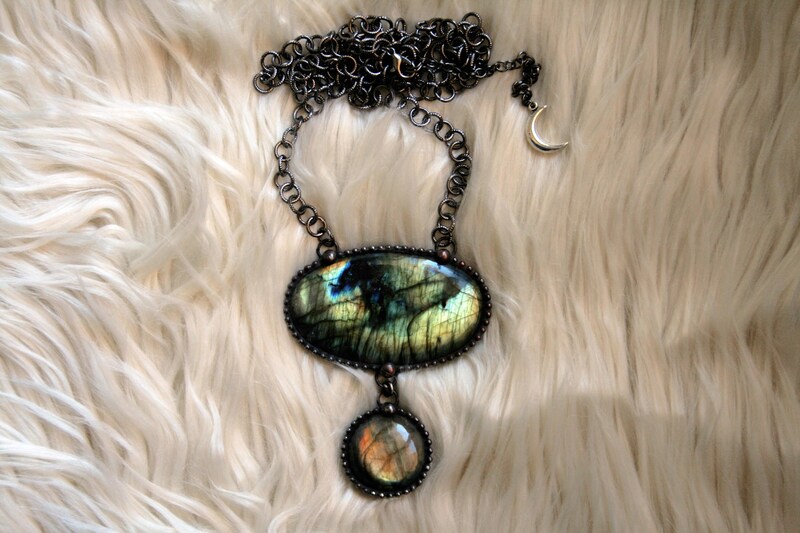 Chain is adjustable between 29" - 32" long, including the space between the bails, with a lobster clasp and a silver plated crescent moon charm. 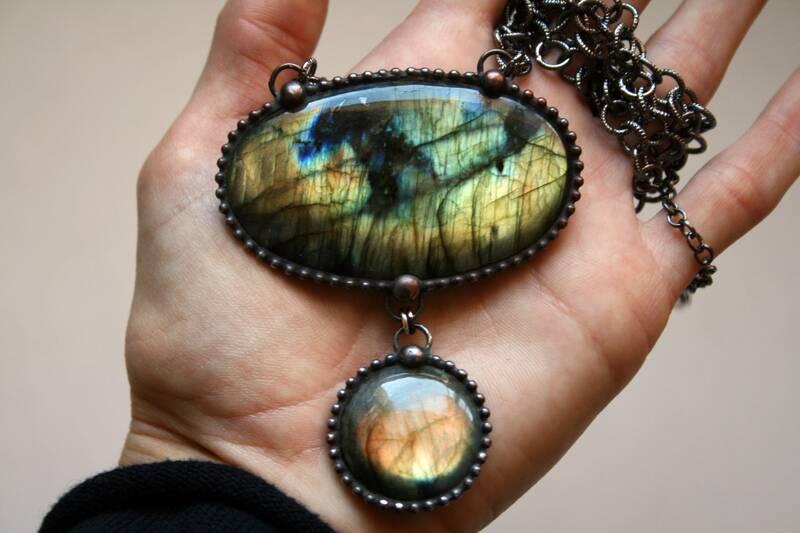 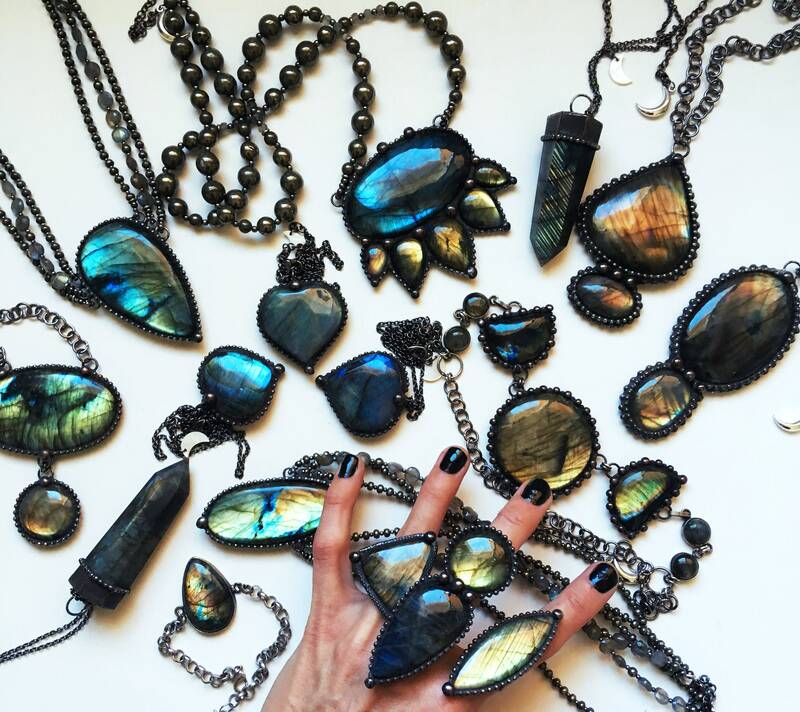 Pendant hangs approximately 3.25" long, from the top of the bails to the bottom of the drop.